…After the triumph of the Revolution he took on the roles of head of the Policy and Operations departments of the Revolutionary Armed Forces in the former province of Oriente; the United Party of the Cuban Socialist Revolution’s provincial secretary, playing a leading role in the founding of the PCC; head of the Patricio Lumumba Internationalist Battalion in Congo Brazzaville; Labor Minister; Director of the Cuban Internationalist Civil Mission in the People’s Republic of Angola between 1975 and 1979. At the time of his death Jorge Risquet held the position of founder of the Communist Party of Cuba. 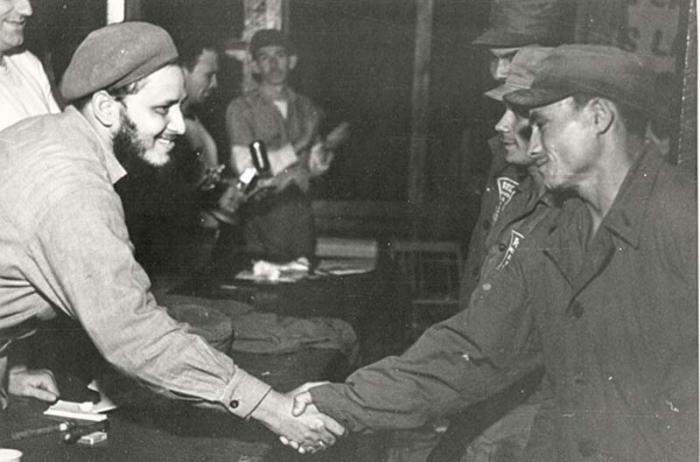 He received various decorations and distinctions for services rendered, Cuba’s newspaper Granma reports. On the morning of September 28, outstanding revolutionary combatant Jorge Risquet Valdés-Saldaña died in Havana, victim of a prolonged and serious illness. He was born on May 6, 1930, in Havana. He joined the revolutionary youth movement in 1943, where he took on various roles in the Socialist Youth and Popular Socialist Party, including Director of the newspaper “Mella,” Organization Secretary and General-Secretary of the National Committee of Socialist Youth, an organization to which he belonged for 15 years. He was arrested and prosecuted on various occasions by the government of the time due to his revolutionary actions.